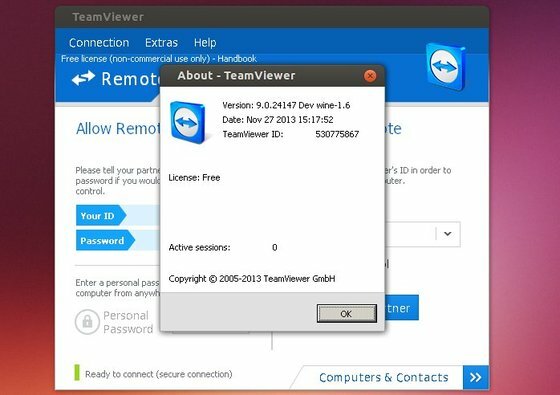 TeamViewer 9 Stable now is available. It features multiple connections in tabs, wake-on-lan, two step authentication, shared clipboard and more. This tutorial shows how to install it in Ubuntu 14.04 Trusty, Ubuntu 13.10 Saucy, Linux Mint and their derivatives. Then install Gdebi from Ubuntu Software Center. 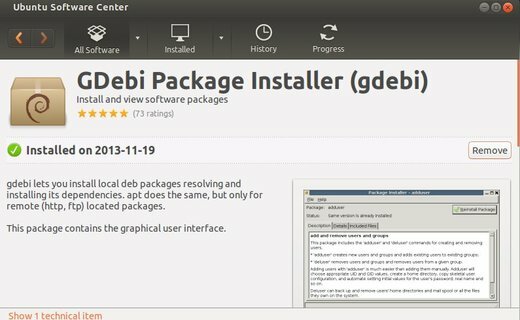 Gdebi lets you install local deb packages resolving and installing its dependencies. Click “Install Package” button. Once done, open TeamViewer from Menu or Unity Dash. Does not work for me with Ubuntu 14.04 beta. Error: lib32asound2 cannot be satisfied! Doesn’t work for me to. The same error. lib32asound2 cannot be satisfied! I used the deb 32 bits and works on ubuntu 14.04 beta. The problem is that the teamviewer_linux_x64.deb has dependencies problems. Isn’t recommended for distributions using multiarch (Ubuntu 12.04 and later). For said distributions the teamviewer_linux.deb package should be used. Gracias !!!! genio hacia rato que lo queria instalar y no podia!!! tienen que instalar ese si tienen sisitemas de 64 bits. I have successfully installed 32 bit.Everything works except the sound and mic. The version “- 32-bit / 64-bit multiarch” you can install on a 32 bit and on a 64 bit system. “In the new 64-bit DEB systems with multiarch support (Debian 7) can be teamviewer_linux_x64.deb not install because the package ia32-libs is no longer available there. 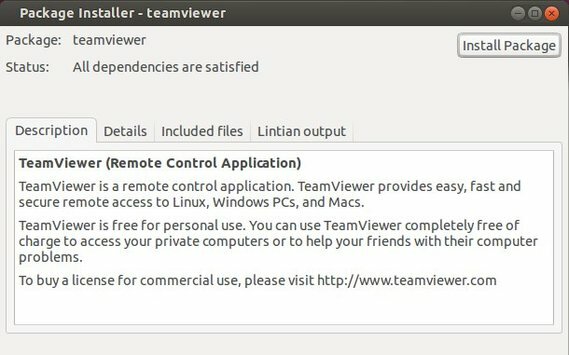 In this case, you can instead use: teamviewer_linux.deb. I cannot go to mic to make it mute or unmute i have onle empty big square without word mute . Thank you for Sharing…JI m….This Rajesh.raf its working even Linux Mint too…..am using Linux Mint thanks again…. working fine on ubuntu 14.04.